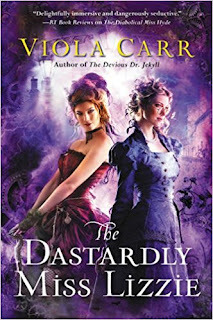 In the third book in Viola Carrâs fantastically fun and wonderfully edgy Electric Empire novel, set in the gritty world of alternate Victorian London, Dr. Eliza Jekyll must team up with her secret other half, Miss Lizzie Hyde, as her world comes crashing to a halt when a madman begins targeting the cityâs most important scientists, and sorcerers threaten all she holds dear. 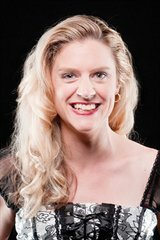 Crime scene physician Eliza Jekyll is trying to share a life with her rebellious second self, Lizzie Hyde. 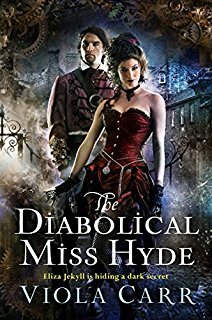 But being two people in one body isnât easy, not when Eliza has a professional reputation to protect and Lizzie is veering headfirst into a life of debauchery and crime with an increasingly demented Mr. Hyde. Not to mention the difficulty of making a respectable marriage with Remy Lafayette--Royal Society investigator and occasional lycanthrope--while Lizzie enjoys her own dubious romantic entanglements. And with England on the brink of war, Remyâs secretive mission in sorcery-riddled Paris grows ever more sinister. Has he been an enemy agent all along? Or is Eliza finally going mad? Now, sheâs confronted by her most baffling case yet: an evil genius with a penchant for theatrics is murdering eminent scientists in the most inexplicable ways. Her investigation uncovers a murky world of forbidden books, secret laboratories and bleeding-edge science punishable by death--and a shocking connection to her fatherâs infamous experiments. Desperate to learn the truth about her past, she must infiltrate a cabal of fanatical inventors bent on a discovery that will change the world--or destroy it. 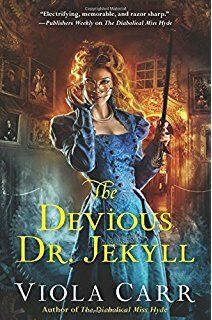 With London under attack by sorcery-wielding terrorists, and the Royal Societyâs enforcers determined to bury her evidence for good, Eliza needs all the friends she can get if sheâs to thwart the killer and keep her head. But when Lizzieâs criminal shenanigans get Eliza fired from the Metropolitan Police, and Remy is implicated in an act of bloody vengeance he didnât commit (or did he? ), sheâs on her own. Viola Carr was born in Australia, but wandered into darkest London one foggy October evening and never found her way out. She now devours countless history books and dictates fantastical novels by gaslight, accompanied by classical music and the snoring of her slumbering cat. She likes steampunk, and thought it would be cool to investigate wacky crimes with crazy gadgetsâ¦just so long as her heroine was the creator of said wacky gadgets: a tinkerer, edgy, with a dash of mad scientist.